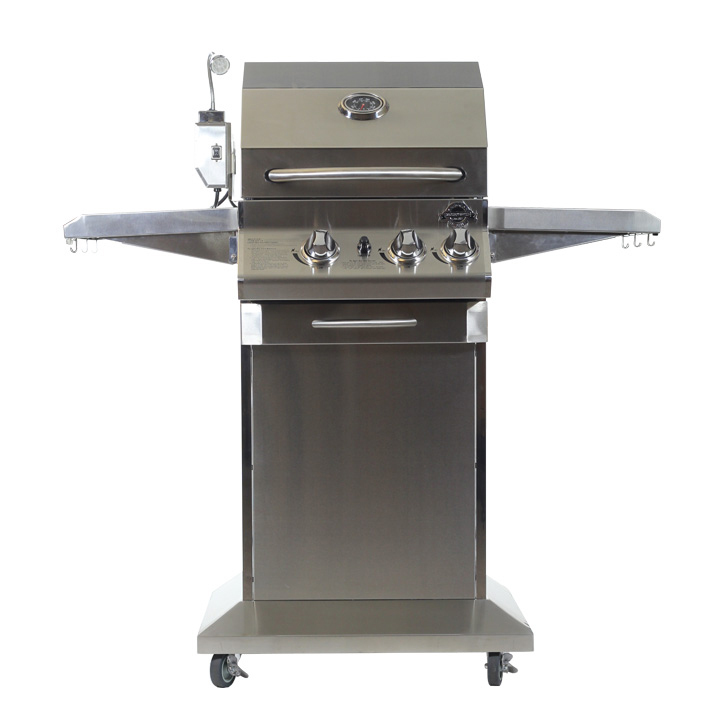 The Lux 400 Cart Model; a full sized grill in a compact package; perfect for singles, couples and todayÃ¢â‚¬â„¢s smaller families. Grill the perfect steak; roast a chicken to perfection on the infrared rotisserie. With a total grilling surface of 470 square inches (primary: 268 sq. in., secondary: 102 sq. in. ), the Lux 400 offers the perfect balance between performance and flexibility. Ideal for smaller patios and decks.